Mastic for grafting and pruning with applicator brush. 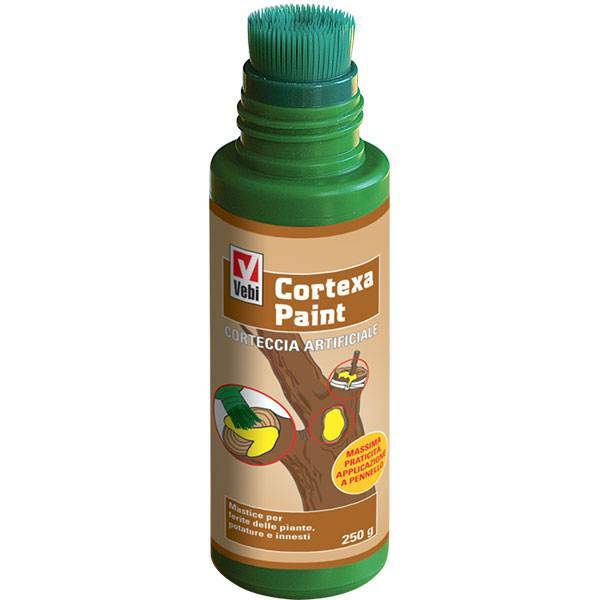 Cortexa PAINT is a mastic sealant for protection, rehabilitation and healing of pruning and plant wounds. It also promotes the rooting of the plants. Thanks to its brush application PAINT Cortexa is practical and simple. It contains terpenes that has protective action. Resins elastic film formation, plasticizers polymers, vegetable oils, pH regulators, pigments.